But before she can wrench Adam from Evangeline’s clutches, she has an amnesiac ghost begging for her help, and finds herself smack dab in the middle of another murder investigation in the small town. Twice the Witch is a spunky paranormal mystery set inside the cozy town of Beechwood Harbor, where vampires, ghosts, shifters, and witches all work, play, and—mostly—get along. 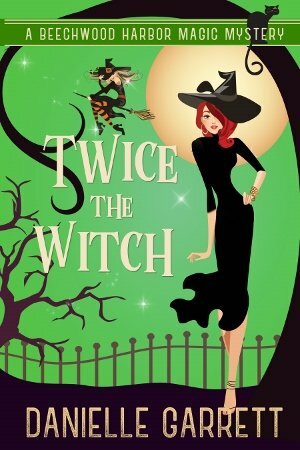 Twice the Witch is book two in the Beechwood Harbor Magic Mysteries series.